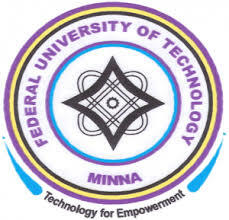 Federal University of Technology, Minna (FUTMINNA) post UTME/Direct Entry screening exercise application form for the 2019/2020 academic session is out. FUTMINNA post UTME cut-off mark is 180 and above. Authorities of the Federal University of Technology, Minna (FUTMINNA) invite applications from suitably qualified candidates to apply for the institution post UTME/Direct Entry screening exercise for the 2019/2020 academic session. 2 CANDIDATES ELIGIBLE FOR FUTMINNA POST UTME & DE SCREENING. 3 HOW TO FUTMINNA POST UTME/DIRECT ENTRY SCREENING. CANDIDATES ELIGIBLE FOR FUTMINNA POST UTME & DE SCREENING. (i) Only UTME and DE candidates who selected Federal University of Technology, Minna are eligible for the screening exercise. (iii) Candidates MUST meet the minimum UTME scores for their chosen courses, have the right UTME subject combinations as prescribed in the JAMB Brochure and the requisite ‘O’ Level subjects at credit level. (iv) However, candidates who do not meet any of the above requirements will be allowed to change to any other course whose requirements are met by the candidates. The change of course will attract a processing fee of N1,000 only payable at the screening venue. (v) All candidates must possess a minimum of five ‘O’ Level credits including Mathematics and English Language at not more than two sittings in subjects relevant to their proposed courses. (vi) Only ‘O’ Level result print-out(s) downloaded directly from the website(s) of the national examining bodies (WAEC/NECO/NABTEB) or photocopies of the original certificate(s) will be accepted for verification. Candidates that already have their ‘O’ Level results MUST bring the results to the screening venue. Failure to do so will result in disqualification of candidates. (vii) Candidates awaiting results will be allowed to participate in the UPASE but MUST submit such results not later than Friday 30th September, 2019/2020. For submission of such results, candidates are to go back to their registration page on the University website to update their records or submit hard copies of the results to the Office of the Deputy Vice-Chancellor (Academic) at the Main Campus, Gidan Kwano. (viii) Candidates that choose to submit their results online should print the acknowledgement slips after uploading. For the list of relevant subjects for each course/programme, check the homepage of the University website. NOTE: Any false declaration could lead to a candidate’s disqualification at any stage of the admission process. HOW TO FUTMINNA POST UTME/DIRECT ENTRY SCREENING. NOTE: The system automatically detects if you have the required UTME subject combination and the minimum score for the programme selected. Payment is done through Debit Card (MasterCard – Most preferred) or Verve (only the ones enabled for online payment) or Bank branch (by generating RRR from application portal). NOTE: This automatically debits N2,250.00 only (the N250 is service charge for the Interswitch platform). A printout of the 2019/2020 UTME result slip bearing the candidate’s passport photograph (the Passport should not be affixed). The title of the course/programme of choice should be boldly written by the candidate on top of the result slip. The printed 2019/2020 University Pre-Admission Screening Exercise (UPASE) scheduling slip. All enquiries should be directed to the following: infoupase@futminna.edu.ng or call 09083075187 and 08028949142.